“Grain to Glass” celebrates Cincinnati’s brewing heritage and honors the people, past and present, who have worked to support it. The story of a seemingly simple glass of beer unfolds from left to right highlighting each step of the process, starting with the harvesting of grain through the brewing, bottling, and transportation process and finishing out of the tap of a local watering hole. 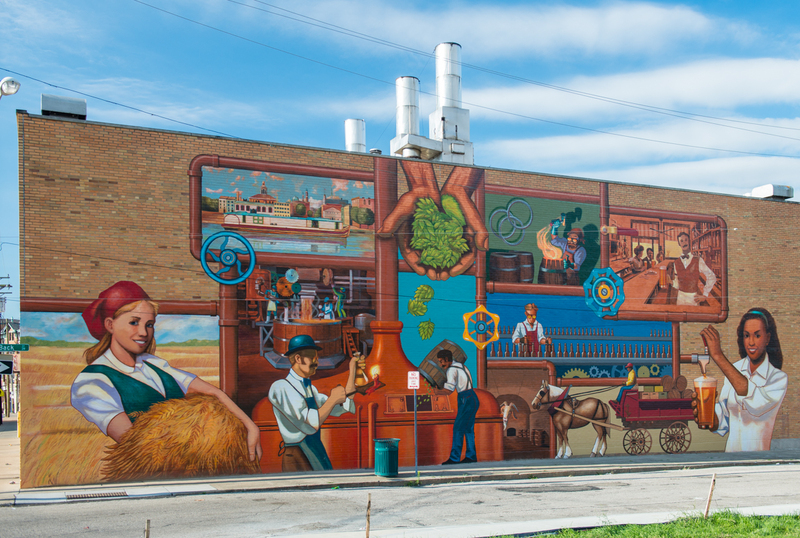 This mural honors the wide range of professions within the brewing industry and the community they create. This mural was created in partnership with The Brewery District Community Urban Redevelopment Corporation.